The ®evolution in small business finance has begun. The shockwaves that emanated from the 2008 Credit Crisis have spawned an entirely new ecosystem for small businesses to access capital. Rather than being driven by the old boys at the top of the financial food chain, this ®evolution is being driven from the bottom up by the crowds, which is why today we are going to take a look at how crowd finance is reshaping small business financing – permanently. Small businesses (SMBs), the backbone of our economy, have had a rough go since the credit markets collapsed in 2008. While governments have been pumping a seemingly* infinite supply of credit into the economy for the last several years, the banks have used the free* capital to ‘fortify’ their balance sheets rather than lend it into the economy. Consequently, SMBs have been left in the dark and forced to find alternative sources of financing from wherever they can get it. The kicker for governments, and consequently the people, is that if the money doesn’t trickle down and SMBs can’t access credit, then the economy doesn’t get rebuilt. 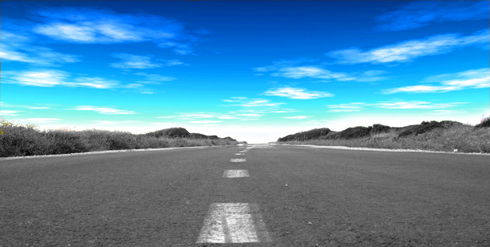 A unilateral study conducted in the US by Kauffman in 2010 found that all new jobs are created by new businesses. The governments’ initiative to stabilize the economy by injecting unlimited* supplies of free* capital into the banks has created a problem that can only be resolved with one outcome, a ®evolution. Enter the crowds. Thanks to a whole new generation of crowd finance, including crowd funding / lending / investing / factoring, a new era of small business finance is upon us. Call it a revolution, an evolution, whatever you want, either way the shift is massive. Recently we attended the Windows of Opportunity event in the UK to see first hand how the pieces are coming together in the emerging crowd finance landscape. Led by former Dragon Doug Richard, the event was sponsored by the UK government to share information about the new alternatives available to British companies and investors, and educate the audience about the transformational new SEIS (Seed Enterprise Investment Scheme) tax incentive program. Mr. Richard, an American-born entrepreneur with experience at every level of business, opened the event by explaining the causes of the current SMB financing shortfall and outlined why he sees the SEIS tax incentive as one of the biggest triggers for economic growth in the UK economy over the next decade. We talked about SEIS a couple months back in our post ‘Crowd Finance + London …’, it incentivizes investors to invest in seed-stage enterprises (< £200,000 in assets) by reducing a majority of their risk. They get an instant 50% tax credit, a potential future capital gains exemption of 28.5% and the ability to write off an additional percentage of the investment if it becomes a loss. While there are a few details that need to be understood, the scheme gives investors the potential to receive 100.5% in tax writeoffs. Crowdinvesting platforms give entrepreneurs the opportunity to raise equity financing from ‘the crowd.’ These investors no longer need to be accredited or invest large amounts just to make it worth the fees. Seedrs, a platform we have talked about a few times on the blog in previous months (see post Finance 2.0 …), allows entrepreneurs to raise up to £150,000 from a crowd of investors who can individually invest as little as £10. The platform is FSA regulated, an important qualification for crowdinvestment platforms in the UK, and investments made through the site are SEIS eligible. They launched in July and have closed 8 deals for a total of £337,000. As an investor on Seedrs, you don’t have to worry about monitoring the companies you invest in every week. Seedrs acts as a nominee for the shareholders and plays an active role in ensuring that the company stays above board with all future financing. The company is also incentivized to see the startups it helps fund succeed, as they take 7.5% of any investor profits. Crowd lending platforms allow businesses to borrow money directly from investors at competitive rates, thereby removing the middleman and providing an alternative to the banks. To put the problem in context, the current Crowd Lending market for SMB loans represents less than 0.1% of loans being made by High-Street banks despite triple-digit growth rates in 2012. Funding Circle is one UK company in the P2P lending landscape who is giving businesses access to the capital they need to grow. SMBs can go on the platform and borrow up to £500,000. Lenders can search for loans at terms they are comfortable with, with average returns currently sitting at 9.1%. Default rates have been low up to this point, but the company’s CEO expects them to rise to around 2.8% as their loan book gets bigger. The UK government has committed £100 million to help kickstart the industry. When a startup company signs a big contract and sends out its first invoice, the feeling can sometimes be bittersweet. That’s because many companies have payment terms of 30, 60 or 90 days, an eternity for a new company that is under the gun. Additionally, many SMBs may not have the working capital to produce the goods for the order. Enter crowd factoring. Crowd factoring allows entrepreneurs to factor their invoices, or receive a large percentage (~95%) of the money in exchange for cash upfront. 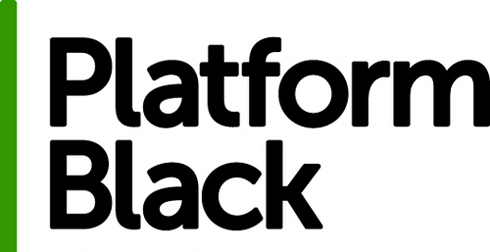 Platform Black is a new invoice-trading platform that connects small businesses with investors looking for new ways to find returns. Sellers (the entrepreneur) post the invoice they are trying to finance on the auction platform, while Buyers (the investors) bid on the invoice using the Seller’s discount rate as the starting point. The rate of return is determined by the Seller’s credit score, length of the invoice and supporting documentation related to the strength of the invoice. It’s a new way for investors to earn returns from short-term debt obligations while giving SMBs access to the capital they need to move forward. The banks have always been the one-stop shop for everything related to financing; nowadays, the market is opening up, as an entirely new financing ecosystem is emerging to fill the gaps left by the banks. For both investors and entrepreneurs, the shift to a more democratized ecosystem is opening up a whole new array of opportunities. The UK, in particular, is moving ahead to reinvent its capital markets through the creation and promotion of innovative platforms and groundbreaking tax incentives. While much work still needs to be done, the pieces are slowly coming together to give small businesses access to the capital they need to grow. In today’s world, that might be enough to be called a revolution.